In 1993, the Miu Miu label was born and playfully given the nickname of its founder Miuccia Prada. 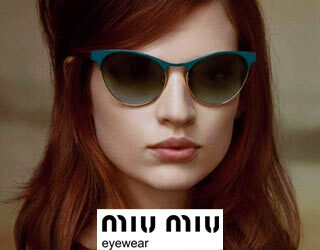 The Miu Miu glasses collection addresses a sophisticated, free-and-easy clientele particularly attentive to new trends. It expresses an alternative style, always characterized by a strong personality. 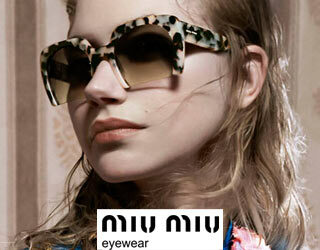 The Miu Miu brand is urban, , sophisticated and sensual, an alternative vision, a “new classic”.